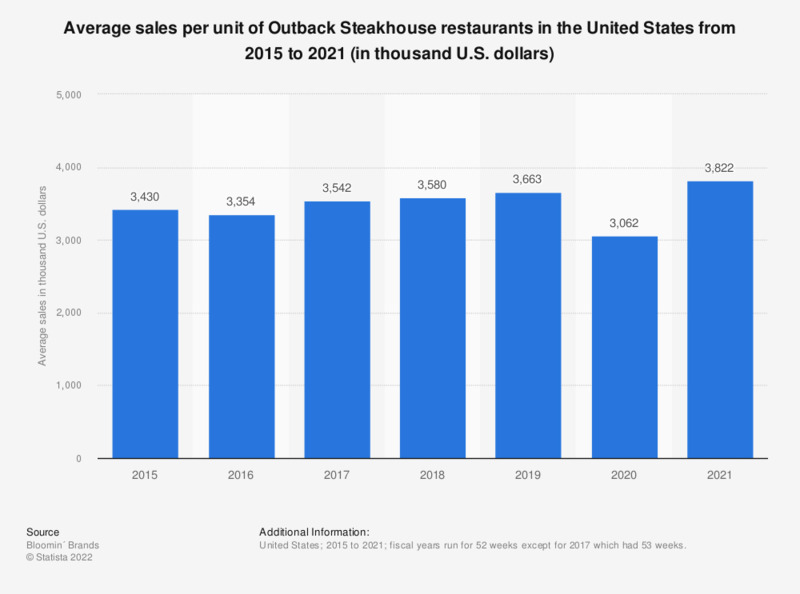 This statistic shows the average sales per unit of Outback Steakhouse restaurants in the United States from 2015 to 2018. Average sales per Outback Steakhouse restaurant amounted to approximately 3.58 million U.S. dollars in 2018. For fiscal years ended December 31.